Heavyweight Black Double Vinyl on Gatefold Sleeve. 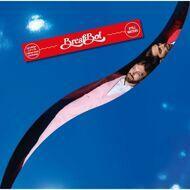 In 2016, the new Breakbot version “one plus one” (Breakbot + Irfane) will release a second album, Still Waters, a new assortment of southern sunrays, with swinging images of dancefloors filled with guys in flowing trousers and bare-shouldered young girls. For this occasion, Breakbot and Irfane followed a well-oiled formula. They each cook-up outlines of rhythms and melodies that the two boys then modify, complete and prolong to reach a final draft. For Still Waters, which also contains 13 tracks, Breakbot have nonetheless tried out a few new moves: unlike the previous album, this one is more of a matrix with intricate workmanship, carved out with the help of old analogue machines rather than softwares. Some of these tracks were also happy accidents from improvisation sessions, ricochets of voices and chords born of old-school jamming sessions. Thirteen bouncy acts with Stevie Wonder and the Motown crowd in the background, spouts of funk and disco on a well-trodden dancefloor. Crafty ideas whipped-up in a vintage outfit with techno vibes and futuristic accelerations creating a perfectly current soundtrack. Tomorrow’s retro. With Still Waters, Breakbot introduces its new head along with a new uniform. With the help of art director Philippe Jarrigeon, the guy wearing short shorts and knee-high socks has become a character in a cocktail coloured costume, like a Florida prince. Image on music.